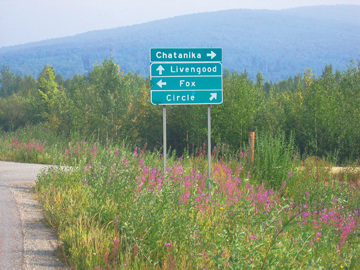 Location: 10 miles northeast of Fairbanks, at the junction of the Steese and Elliot Highways. Population: 300. Elevation: 755 feet. Fox was established as a mining camp prior to 1905. Historic Gold Dredge Number 8 and its accompanying museum and loading docks are located here. The Howling Dog Saloon and Cafe, billed as the "Farthest North Rock and Roll Bar in the World", is open May through October and offers motel cabins, live music and dancing and world famous real Alaskan roadhouse tradition. 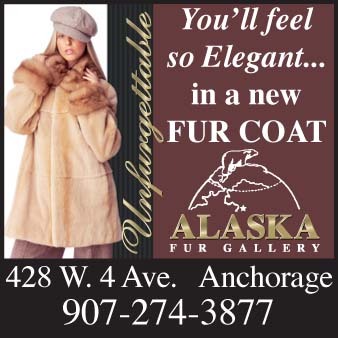 Other popular attractions in the Fox area include the Fort Knox gold mine, the Pedro Monument and the El Dorado gold mine, where visitors can take a permafrost tunnel tour, a walking tour of the camp or pick up a shovel and look for their own piece of Alaskan gold. 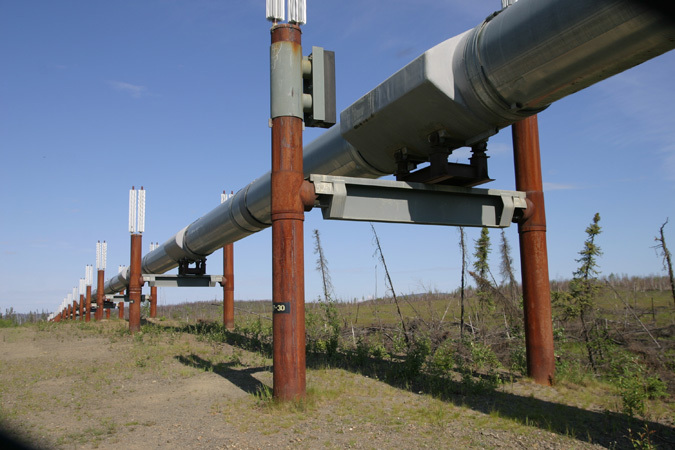 At a special pipeline display area visitors can make close contact with an impressive portion of the Alyeska (or Trans-Alaska) Pipeline; since completion in 1977, the pipeline has transported over 15 billion barrels of oil. Silver Gulch Brewing and Bottling Company offers over 100 types of exotic and locally-brewed beer. 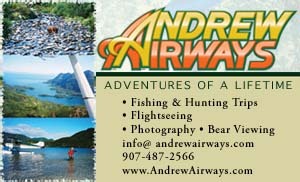 Stop in for a pint of great beer and the finest cuisine in the Fairbanks area. Open every day. 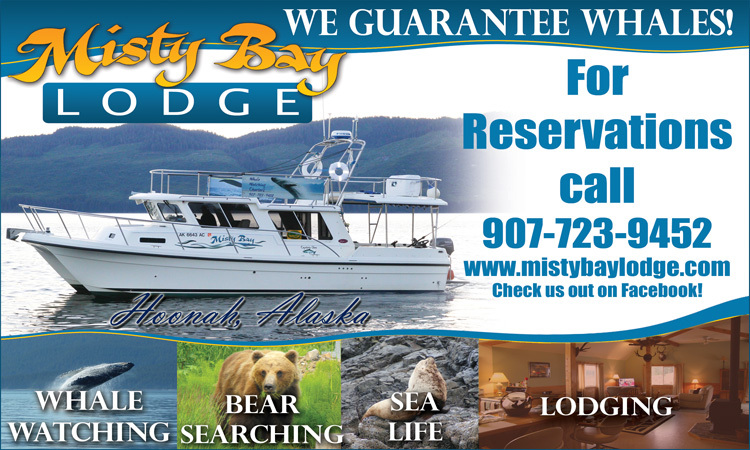 Call (907) 452-2739 for reservations or tour. It’s in the Water! There are really only four ingredients in beer: water, grain (barley), yeast and hops. Being the main ingredient, it could be argued that water is the most important! Part of what makes Silver Gulch beer great is the aquifer where they pull their water and have it trucked a very short distance over to the brewery. 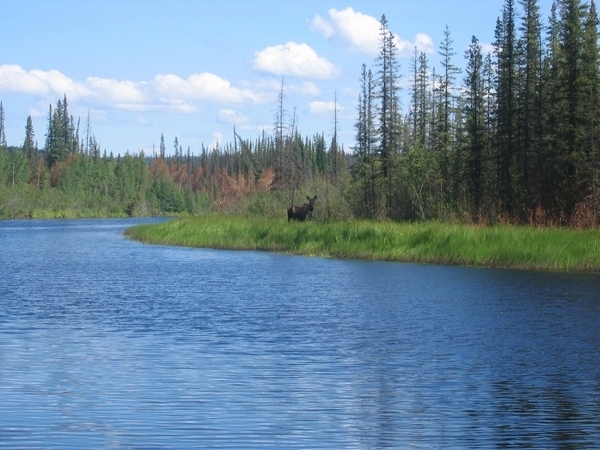 The water seeps and filters through a large deposit of marble (rare for Alaska) for years before entering the aquifer. It’s so tasty that people drive all the way out to the Fox springs for their own use!